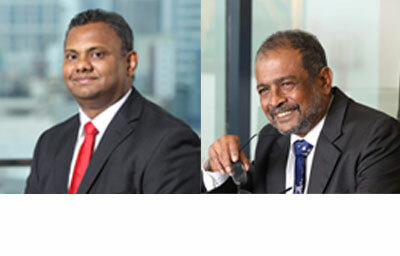 The fastest growing Sri Lankan commercial bank, Pan Asia Banking Corporation PLC reported its best ever profit recorded in a first half in 2018 anchored by solid growth in new loans, prudent margin and asset-liability management. For the six months ended in June 30, 2018 (1H’18), the bank reported a profit after tax of Rs.819.6 million, up by a strong 33 percent from the same period in 2017.The net interest income rose by 18% on a year-on-year (yoy) basis to Rs.2.8 billion supported by better margins recorded amid the rising cost of funds. The net interest margin increased to 3.92% during this period from 3.61% in December 2017 as the bank continuously reviewed the pricing of its asset and liability portfolio and managed them efficiently. This improvement is a testament to the bank’s ability to recalibrate its asset portfolio from low yielding ones to high yielding ones in order to optimize the margins. Meanwhile for the quarter ended in June 30, 2018 (2Q’18), the bank reported a profit of Rs.506.8 million on a net interest income of Rs.1.5 billion compared to Rs.263.5 million profit and Rs.1.2 billion net interest income reported in the same quarter last year. The better top line performance in the 1H’18 is also a reflection of relatively strong growth in new loans. The bank gave Rs. 11.5 billion in new loans during the period which translates in to a robust growth of 10% in the loan book given the challenging market conditions prevailed during the period. This propelled the bank’s asset base to slightly over Rs.150 billion by the end of June achieving yet another key milestone. “We recorded a commendable growth in our loan book during the first half of 2018 amid the many headwinds we faced during this period. I consider this achievement noteworthy because we recorded it amid a moderation in sector loan growth and rising non-performing loans”, said Nimal Tillekeratne, Pan Asia Bank’s Director/ Chief Executive Officer. Meanwhile despite the rising non-performing loans in the industry, Pan Asia Bank managed to reduce its net non-performing ratio to 2.93% by the end of June from 3.05% in December 2017.The gross non-performing loan ration slightly increased to 4.51%, slightly up from 4.36%. The solid top and bottom-line performance of the bank was somewhat held back by the increase in the loan loss provisions as the bank had to provide Rs.669 million as impairments during the six months, up from Rs.343 million in the corresponding period last year. Meanwhile the bank increased its deposit base by Rs.7.0 billion anchoring much of the growth in the loans. Out of these total deposits, Current And Savings Account deposits – a key measure of the bank’s performance in low cost funds rose to 19.2% from just under 18.0% in December 2017 providing a much needed boost to the bank’s margins. Continuing its legacy of being a truly innovative bank, during the second quarter the bank launched ‘Rising FD’ a two year fixed deposit product where the interest rates can only go up during this period in every six month intervals. This unique product is the only one of its kind in the market. Rising FD became an instant success in an otherwise crowded market for term deposits and buttressed the bank’s medium term fund base while minimizing the maturity mismatches hitherto existed. Meanwhile by the end of the first half, the bank strengthened its capital profile through internally generated capital while maintaining the desired level of growth and currently stays above the minimum regulatory requirements stipulated by BASEL III.By the end of June 30, bank’s tier I and tier II capital ratios stood at 11.24% and 12.91% respectively compared to the regulatory minimums of 7.875% and 11. 875% for each. Pan Asia Bank is now exploring its options to raise further fresh capital to accelerate growth during the 2H’18 while remaining on top of the higher capital requirements under BASEL III accord which comes in to effect from the beginning of 2018.